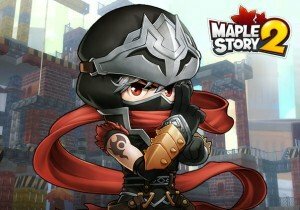 Nexon America announced today that the Closed Beta 2 for MapleStory 2‘s Closed Beta test will run from July 18th through August 1st, 2018. New fans and veterans alike can register at the link below, which opened today. The fine-tuning process continues, and this iteration of the Closed Beta will have new content updates, improvements to controls and World Quests for Maplers who need more RPG in their diet. MapleStory 2 will also offer a battle royale mode called Mushking Royale. This will be available during Closed Beta 2, for one weekend only (July 20 through July 22, 2018). This new mode will let up to 50 players battle against each other until only one winner survives. Unique features of this mode will include the ability to climb on walls, jump through obstacles, hide in bushes and raise a characters strength by defeating monsters. Benefits of playing Mushking Royale during Closed Beta 2 will include cosmetic rewards for the official launch.